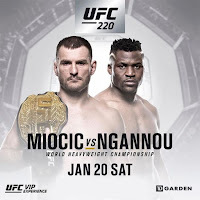 UFC 220 Stipe Miocic vs Francis Ngannou Fight Pick & Preview | MMA Fighting Events Videos Techniques UFC Fight Picks and News. The UFC is kicking off 2018 in a great way! UFC 220 features Stipe Miocic vs Francis Ngannou. These two MMA fighters are hard hitting fight finishers. Someone is going to sleep in that cage Saturday night! I had another great year in 2017 going 10-2 in UFC main event predictions. If you're looking for the most accurate fight picks in the game, you've come to the right place. Let's take a closer look at these two MMA beasts and then I'll make my fight pick/prediction for UFC 220: Stipe Miocic vs Francis Ngannou. Francis Ngannou is coming into this UFC title shot with an overall MMA record of 11-1. Since entering the UFC in December of 2015 he's done nothing but finish fights with 5 KO/TKO's and 1 submission. What he lacks in experience he makes up with in brutal power! That power was on display in his last fight where he almost took Alistair Overeem's head off with one of the most devastating uppercuts I've ever seen. It was actually scary to watch! Francis Ngannou is big, athletic and hits like a freight train! He's also hungry and knows this is his shot at solidifying his journey from rags to riches. A win Saturday night puts him on the map, and all heavyweight in the UFC on notice. But, to do all that, he's going to get over the biggest hill he's come across. That hill might be more of a mountain in Stipe Miocic. Stipe Miocic is coming into this UFC heavyweight title defense with an overall record of 17-2. While that's a pretty impressive MMA record, what's even more impressive is that he's finishes his last 5 opponents via KO/TKO. Those fighters weren't cans either, 4 of the 5 were former UFC heavyweight champions, and the other was hard hitting MMA legend Mark Hunt. Stipe Miocic has great boxing skills, but what makes that work so well in MMA is his wrestling. If he wants to stand, he'll stand. Good luck trying to take him down! It's probably not going to happen and you're going to eat some hard chingasos for your efforts. Miocic has great technique, conditioning, power and is tough as nails! This fight is tough to pick, on paper, Stipe Miocic is technically better in every MMA category including experience. But, Francis Ngannou has an X factor, and that's his unbelievable power. Look for Miocic do well early. He'll use his boxing and wrestling in a defense manner as to drag Ngannou into deep water were the hope is that Ngannou's power will diminish. Unfortunately for Miocic, Ngannou only needs one punch, and he will get his power shot off first before Miocic can set his offense up. This is going to be a race to see who can land first, and I see Ngannou crossing that finish line ahead of Miocic. On Saturday night, we'll have a new champion and a Mike Tyson type legend in the making. 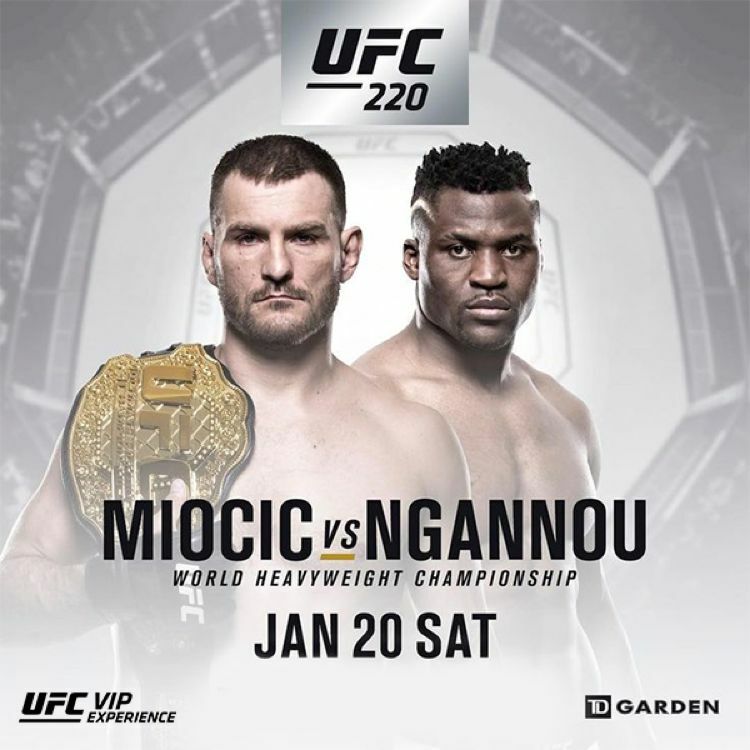 How do you UFC 220: Stipe Miocic vs Francis Ngannou goes down? Comment below. 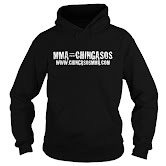 First correct comment will get sent an MMA=CHINGASOS t-shirt.